1912 was quite a year for baseball—at least according to the Spalding Base Ball Guide. The Red Sox beat the New York Giants, 4-3, in the World Series. The Pittsburgh Pirates finished second in the National League thanks to greats like Honus Wagner and Max Carey. Those who weren’t able to make it out to the big game that year or were curious on the status of “America’s National Game” on the international stage, could read all about it in the Spalding guide. This authoritative publication published statistics from the previous season, including the rules and “how-to’s” of baseball. It also offered stats on minor leagues across the U.S. and included photos and illustrations. One such minor league was the Class D Ohio-Pennsylvania League. Founded in 1905, any team with nine players and $50 could join. However, mismanagement plagued the league from its inception. Far-flung clubs throughout Western Pennsylvania and most of Ohio rarely played one another. This, along with the comings and goings of clubs throughout the league’s history, resulted in uneven game rotation and abbreviated seasons. The 1912 season, the league’s final, started with eight clubs and ended with four. The Fairmont Fairies were declared the champion that season when the Steubenville-Follansbee Stubs were unable to field a team for the playoffs. The Stubs were a team familiar with disorganization, having many incarnations and locations over its 26-year existence. Yet the Stubs’ roster includes many who went on to play in the majors. Among them was Luke Boone, a shortstop, third baseman, and second baseman who played for the Yankees and Pirates after playing for the Stubs in 1912. Honus Wagner also played for the Stubs in 1895 with his brother, Butts, when it represented Akron [Akrons] and Lima [Farmers] in addition to Steubenville, though at the time the team was with the Interstate League, not the Ohio-Pennsylvania League. Frank France’s photograph of the 1912 Steubenville Stubs. The 1913 Spalding Base Ball Guide lists the players: back row, from left: Houser, Kelly, Collingwood, Franer, Easton, Sisley, Marshall, Center, Mgr. ; front row, from left: Bratchie, Boone, Brown, Foster, McKelvey, Lodge. The Guide misidentifies at least, Bill France, Frank’s brother and business partner, as Franer (back row, fourth from left) and manager Gene Curtis as Center (back row, first from right). 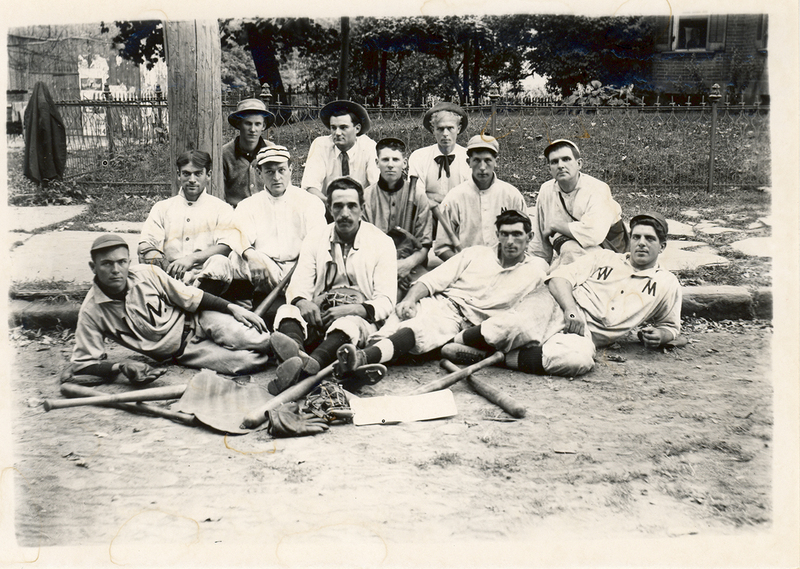 Luke Boone (front row, second from left) later played in the majors. See it in the Spalding Base Ball Guide. 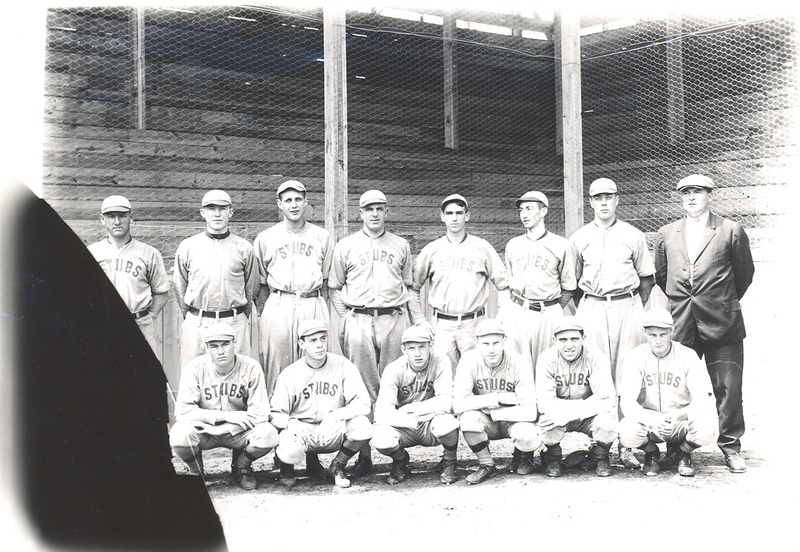 But it was the 1912 team that West Middletown photographer Frank France captured for the Spalding guide. Those photographs are now part of the Meadowcroft collection. Frank’s brother Bill, who was also in the photography business, may have set up the appointment since he played for the Stubs that year. Frank owned the Last Chance Photograph Company, a traveling photographic company that went wherever a photographer was needed. Portrait of the West Middletown baseball team. Players identified as: back row, from left: John Brownlee, John Elliott, Matt Dinkle; middle row, from left: Smith, unknown, unknown, unknown, Frank France; front row, from left, Cork Miller, unknown, unknown, Bill France. 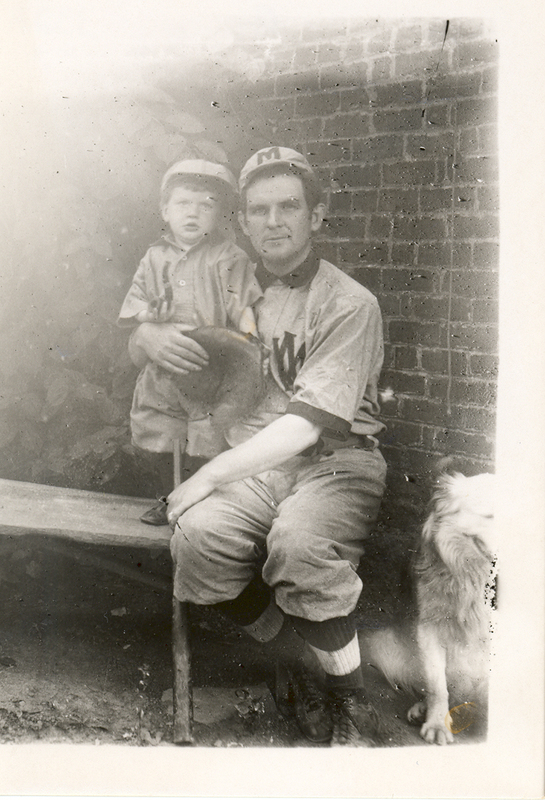 Portrait of Frank France in West Middletown baseball uniform with unknown child. The team emblem on France’s jersey is similar to that on the West Middletown jersey in Meadowcroft’s collection. 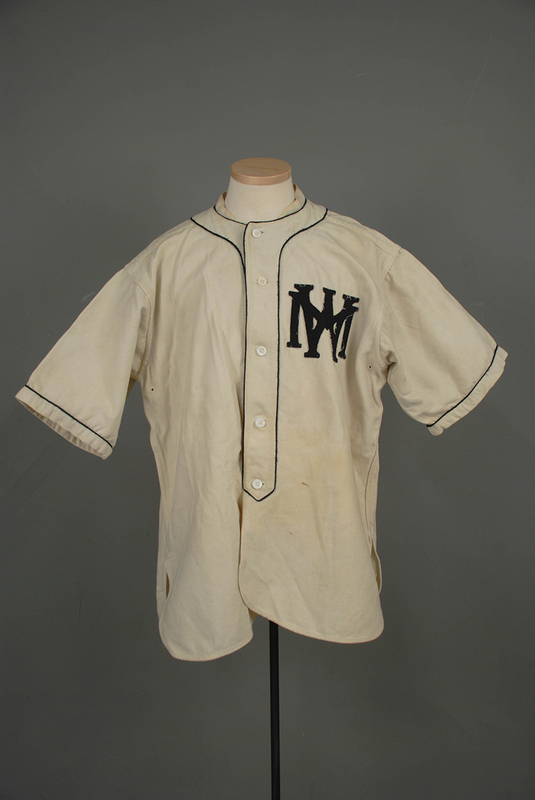 West Middletown baseball jersey from 1924. 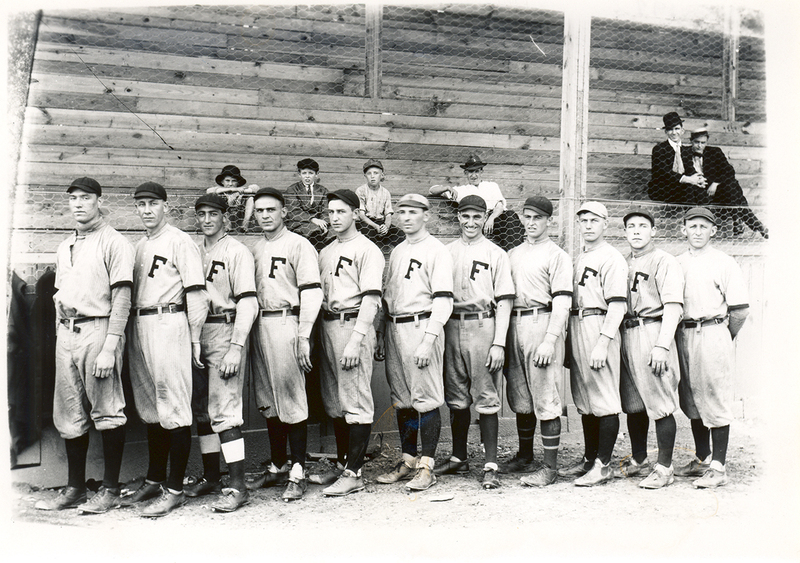 France’s photograph of the Fairmont Fairies, who were the 1912 champions of the Ohio-Pennsylvania League. The 1913 Spalding Base Ball Guide lists the players as, from left: J. Allen, Barry, C. Allen, Fowler, F. Schmitt, Daily, Richards, Edwards, O. Schmitt, Carroll, Reeder. See it in the Spalding Base Ball Guide. Most of the 498 glass-plate collection at Meadowcroft depicts life at the beginning of the 20th century in West Middletown, Pa., including images of “America’s National Game.” Within the collection are images of both Bill and Frank in West Middletown jerseys, as well as images of the Steubenville and Fairmont teams and players. It must have been quite the honor and thrill for these minor league teams to be featured in the nationally-available Spalding Base Ball Guide. Meadowcroft is hosting a vintage base ball game this Saturday, Aug. 13, from noon to 5 p.m. The Somerset Frosty Sons of Thunder and the Addison Mountain Stars, who will wear vintage uniforms and follow 1860s rules, will play. Join us for food and fun in the 19th century American tradition. Sarah Kizina is an historic interpreter at Meadowcroft Rockshelter and Historic Village. Wow! Great job Sarah! These photos are so cool.